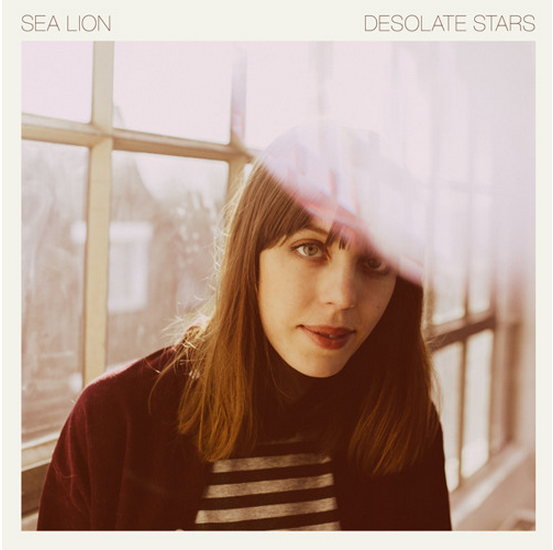 Sea Lion is the whisper-folk project of Sweden’s Linn Osterberg. A few radar blips preceded this record — the initial Cobra Eyes EP in the winter of 2014, followed by the Big Moon EP that fall — but Desolate Stars is her first proper album. We announced the album release with the premiere of “Ghostlands,” but the roll-out really began before that with slurry bedtime lullabye “Room.” Flecked with sounds of sea and static — recurring motifs on the record that begin with the wordless, barely-a-minute “Intro” — “Room” feels like sleeping on a water bed under the stars. I imagine Osterberg in an old Victorian house that’s been transported to the seaside, playing a grand piano in a living room that opens up via double doors to the ocean. There’s something explicitly sad about these song, even as they comfort; “Who knows / He will come to me,” she sings, twinning uncertainty and hope but giving into neither. Even the imagery of Desolate Stars (and its singularly titled companion “Desolate Star”) mark a point of light while acknowledging the expanse of darkness it tries to subvert. It may or may not succeed. These are songs about space, landscape, and the physical world as an avatar for our hearts. “Ghostlands” is shot through with wind but no spaciousness, instead it evokes a soft claustrophobia. “Ghostlands / All I ever feel / Ghostlands / All I ever see,” Osterberg coos — and she really does coo it, like she’s become half phantom herself, or possessed by spirit whose presence she’s not totally opposed to. After a while, the static begins to sound like a character on the album itself. “Plains” comes halfway through and picks up the thread of wordless, fuzzy confusion that “Intro” began with, adding piano and some strings to suggest progress. “He Wears A Smile,” “If My Baby,” and “Baby’s Town” are connected by their shared gaze, and shared disappointment. If you’ve ever been foolish enough to refer to someone you love simply as “baby” and then had to train your mind to strip them of that title, these songs will make sense to you. They function like inverse love songs, noticing all the hints that things will fall apart instead of pinning hope to the overarching feeling of love. The most intriguing aspect of this album, though, is how it continually focuses on both sides of things, the hope and the despair, the dark and the bright. It’s by no means a breakup album — these songs positively drip affection — but there’s none of the glee or assurance that we so typically associate with love songs. The final number and near-title track “Desolate Star” is closest to uptempo, incorporating a jaunty acoustic guitar line high in the mix. She sings “Do you believe?” in refrain before dropping the vocals out altogether again, and as much is said in the silence after the question as the question itself. Osterberg accepts the darkness and the solitary star for exactly what they are, translating her peaceful melancholy into glimmering, poetic prophecies. The result of that philosophy is a folk album so soft and intricate that if you like, you can ignore the paradox and wisdom it holds. Sea Lion’s whole world hinges on ambiguity — make of it what you will. Listen. Desolate Stars is out 8/28 via Turnstile. Pre-order it here.